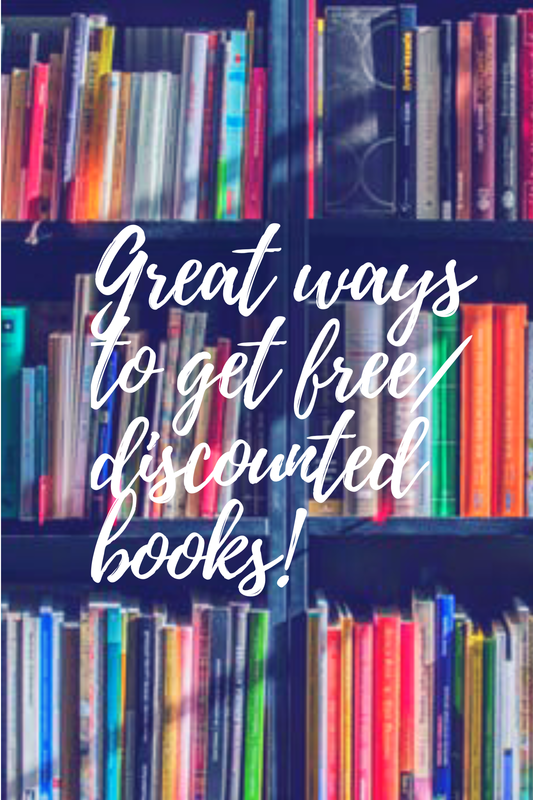 Who doesn’t love free/discounted books!? A lot of people don’t realize that there are resources that provide cheap and even free reading options! To be honest, before joining a book club, free books were typically the only books I read unless there was a MUST READ book referral. While this was nice, I was also missing out on amazing novels due to being a “cheap reader”. Now that I have joined a book club, many resources have been given to me and it is only right that I share these resources with you today! So true story, I haven’t been to the library since college. And it was totally forced and due to research papers. But now I have reconnected with old faithful and it’s not so bad because I have made my library experience my own! I use the library for my audiobooks! They allow me to check out the book for 14 days which is ample time for me to listen to the book. If it is a popular book, you place yourself on a wish list and they notify you once it is your time to check it out. This goes the same for books as well. Currently I am listening to Joel Osteen’s Your Best Life Now, 7 steps to living at your full potential. Most libraries have an online site and I was able to sign up and obtain a library number on their site. I then downloaded their app called OverDrive and was able to find the audiobooks I wanted to listen too. This same process can be done for obtaining books. This is how I for the longest read my books. It is super simple and there are loads of free books to preview. I got into The Game is Life series pretty heavy this way. I believe a lot of authors offer free books options to get you hook then encourage you to read the rest of the series ( which cost money lol). To find the free books simply go the search section and choose top charts and find the “free” section”. I base which book I want to read on how popular they were in regards to rating. Ratings never lie lol. Bookbub.com is super cool! This site emails you daily about super discounted books on acclaimed ebooks. Before you receive emails you choose what genre you are interested in and they only send you email notification for those types of books. So for example, my notifications are set up for inspirational, mysteries, and romance. I have the ability to change it up whenever I want to just by going into my settings. This site doesn’t actually sell the books but round up all the deals for that day and notify you of offers. McKay Used Books Has Donated Over $4,000 To Local Area Public Schools For The 2016-2017 School Year. They are A Proud Supporter Of Our Local Area Public Schools. Hope you guys are having a wonderful day! Happy reading! Oh that’s such great info! I love to read and some of These have not even occured to me! Thanks for this great post! Thank you! I just started getting into reading, and this helps me so much! Glad I could help! Thanks for coming by! Hahahaha I am glad it makes your day! Happy reading! Exactly!! Free or discounted books are the best! I think uni library or public library are the best. 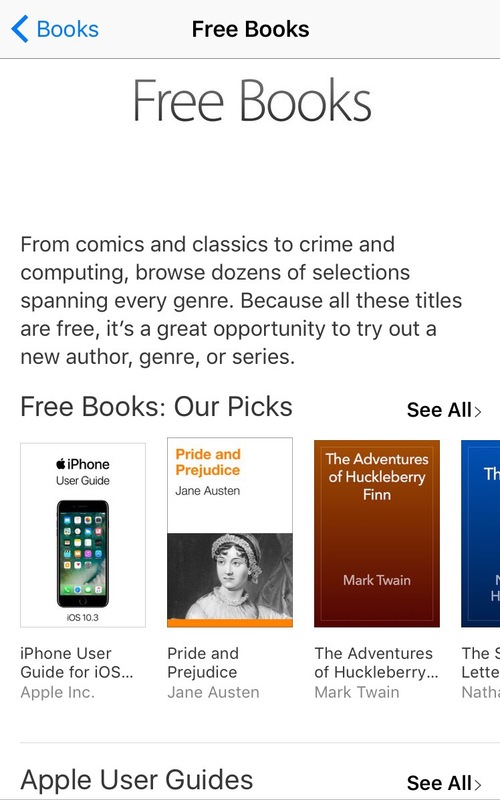 I gotta add, for iPhone users, iBooks have a lot of free books as well!!! Yes, iBooks is always a go to as well! Great post. I check BookBub daily. Bookbub is the best! Thanks for stopping by! Reblogged this on BEAUTIFUL IS MY ATTIRE. it is so weird how the library has become a second thought these days where it’s really a great source, and I have a kindle somewhere I should check out the free books ! Thanks ! Oh yes you have too! You will be surprised at the free books they offer! Thanks for stopping by! THanks for these great reading resources. I used to use the kindle app a lot, not only for the free books but also they have veeery cheap books! I agree! Nothing beats cheap and free and kindle is the best place to find that! I love the library! I place holds online, and they notify once the book I want to read is ready to be picked up. So easy and convenient! I use them for audio books, too. Also, I am totally addicted to used book sales! Yes! The library is now my new favorite tool! You just inspired me to go to the library! I used to go there all of the time… check out the max amount of books or just sit and read. And then college ruined that for me lol. I don’t even know where the one in my town is 😔. Also, I love your signature! I’ve never heard of either of the last two!! Omg I’m so excited for new options because I want to start posting book lists on my blog, but didn’t want to be limited to the older ones they have at my town library. Thanks for the ideas! Hahahah glad I could introduce you to some new savings! Let me know when you feature your books and I’ll share your post on my blog! Happy reading! I love the Kindle Library! I also subsribe to Kindle Unlimited because I think it’s a really great value. Have you ever heard of Thrift Books? I’ve gotten deep discounts there before! Thrift books another great one! I will have to add it to the list!! When I was an expat living in Switzerland, books were so expensive and I had a voracious readers in the house. Book in was great for the odd title! Amazon often had free books too. I often overlook the library too- not always convenient. But I should look into the free audio. I was paying a small fortune using audible. Ugh. Great applications and resources for free books. I love reading and this is really helpful! I bet it broke your heart! You’ll really look bookhub if you are hunting for good reads! Happy reading! Nice post! I’m surprised how many people readily pay for books when they are pretty easy to get for free. I agree! There are way to many resources around here for us all! Great tips on free books here! I love BookBub and OverDrive! Does your library also subscribe to Hoopla? Seriously it’s THE BEST THING EVER!! Tons of audiobooks, regular books, movies, music, all for free and there is SO MUCH personal development content! Oh my goodness! I’ll be on the look out for Hoopla! Thank you! I LOOOVE me some books. Gotta have ’em in my hand. I like audio for long trips, so this is good info. Thanks! I agree 100%! Thanks for coming by! I love the library app for audio books! I utilize it all the time. My husband and I live an hour and a half away from Powell’s Books in Portland, Oregon, and absolutely love occasionally having date night there. You can get lost in there for hours! As an English teacher, I really appreciated this post. Thanks! I agree! Those types of bookstores are insane! My mom was an English teacher for years and would take us to the library and different bookstores as kids so I have an appreciation for all things books :). Thanks for stopping by and happy reading! Even though technology continues to increase, there is still nothing like eating a solid book. Man, I wish there were a McKay’s Used Books in my town! I am paper book lover to the core. I have been heading to library book sells lately and have scored books for 25cents! Whoa! McKay’s is super cool I can’t lie but 25 cent books are a definite win! !